Voters Tell Politicians, "Just Let Us Vote"
We've seen a wave of voter suppression laws across the country in recent years, which many have rightly characterized as a cynical attempt by politicians to manipulate the rules of the game. Yesterday, however, we heard directly from voters in three states, who overwhelmingly voted in favor of a system free from barriers, fairly administered, and equally accessible to all. Montanans faced a ballot measure to decide whether to keep their current election system. In Montana, voters have been able to register and vote on one day, Election Day, since 2005. Election Day registration, which is also available in 11 other states and D.C., is a proven method of increasing turnout. And it's popular with senior citizens, veterans, Native Americans, students, and even election officials. Over 28,000 Montanans have taken advantage of this convenient method of voting. 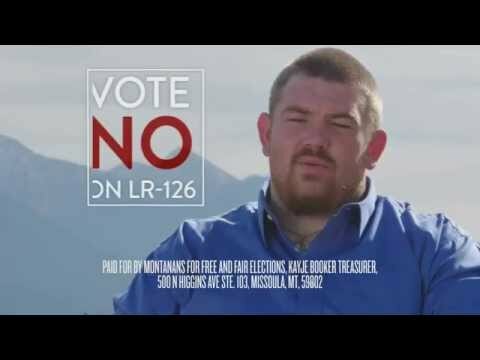 Therefore it isn't surprising that Montanans rejected the fearmongering over fraud and affirmed their confidence in Montana's elections by a 14-point margin, with 57 percent in favor of Election Day registration.In Missouri, over 70 percent of voters resoundingly rejected a constitutional amendment to allow for only six days (that didn't include weeknights or weekends) of early voting, an inadequate proposal that was decried as a "sham" and "bogus". In Illinois, nearly 73 percent of voters approved a constitutional amendment to prohibit discriminatory voting policies. Even though it was not a clean sweep, with Connecticut likely rejecting an initiative to allow early voting, the overall trend is consistent with what we've seen in previous years. In 2012, Minnesotans rejected a photo ID law, and in 2011, Maine voted to keepElection Day registration – which has been in place since 1973. Voters across the country want a system that works fairly for all eligible voters.